When I got an invitation to attend a Yoga event in Leeds with Yoga Hero and Bed Guru I instantly RSVP'd yes! 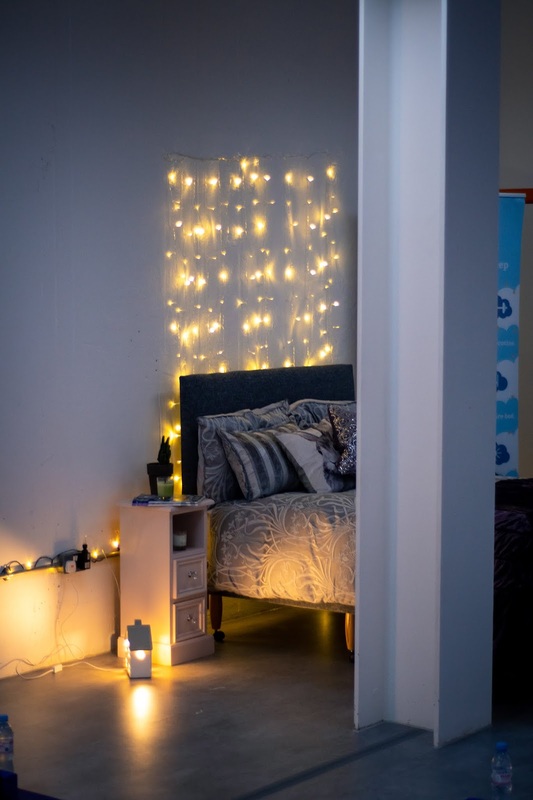 Finding out more about sleep, ways to improve it bookended by a relaxing yoga session and delicious food from leanlunchuk I was excited for about a week beforehand! 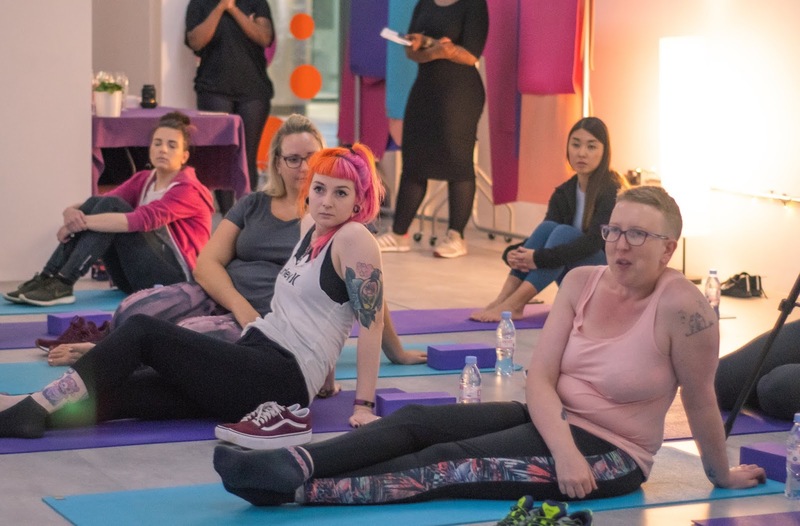 I have been to a similar event with the same PR company (Zeal) previously when the Joy store in Leeds launched and they held a yoga class there too so I knew it would be a fab event. I wasn't bothered about going alone and perhaps not knowing everyone there because I was just looking forward to a relaxing event. 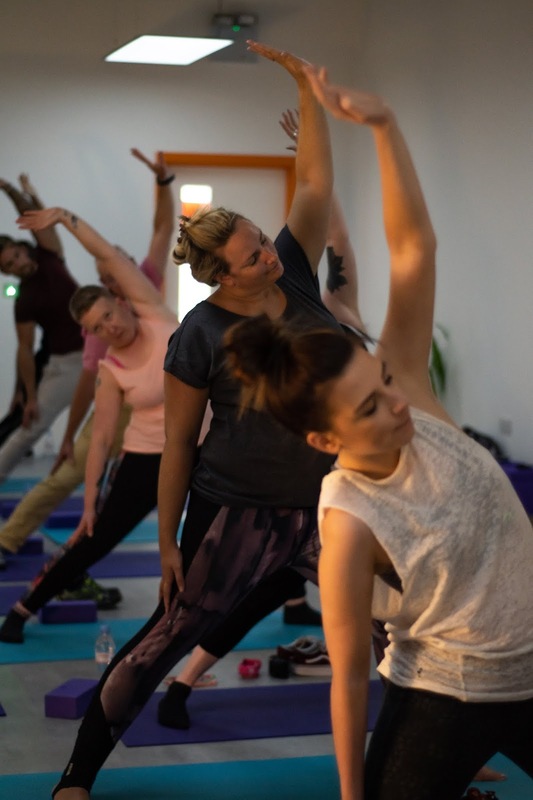 Yoga Hero are based in Leeds Docks and aims to bring yoga, health, well-being, wellness, meditation and much more to everyone. They believe that yoga is the best thing you can do for your body and mind and run classes for beginners to experts, improvers workshops as well as an Introduction to Yoga courses. 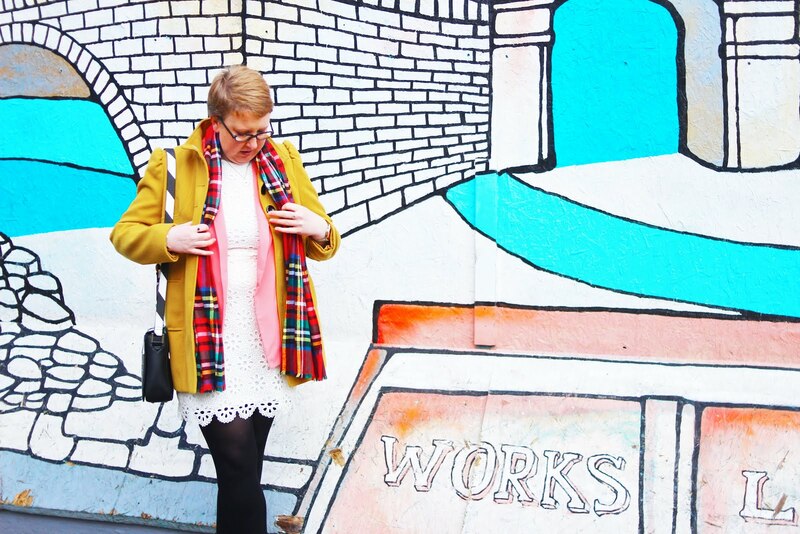 It was easy to find and the building itself was light, airy and I immediately felt at ease upon entering. I was the first person to arrive but that didn't matter, I was greeted by Abby and Georgette from We Have Zeal, offered a drink and introduced to Carl from Bed Guru who was going to give us all a presentation about how to get a better night's sleep. We can all suffer from bad sleep for one reason or another, sometimes it's work that keeps us awake, other times it's noise or light coming in from the outside. There are those of us who easily drift off for an uninterrupted 8 hours, waking up refreshed and ready for the day ahead (I hate these people!). But for a large proportion of us, sleep is difficult to come by and can see us become irritable and stressed not to mention hungry as sleep naturally reduces the amount of leptin released; the hormone responsible for hunger signals. I know this only too well as I've suffered from insomnia in the past and I ate way more than usual whenever I was tired! 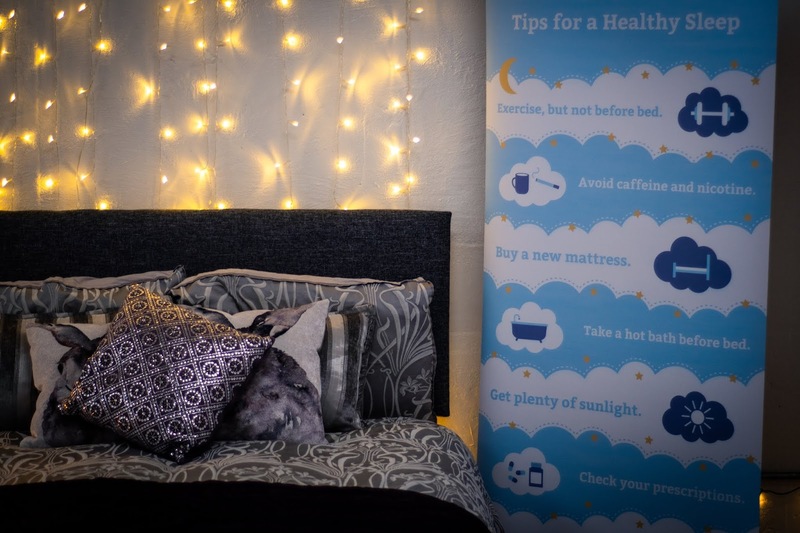 It's not just the amount of sleep which is important, it's also our environment which is vital to promoting good sleep hygiene. Everything from the correct temperature in the room, no distractions from TVs or our mobile phones to having as big a bed as possible with the right mattress to support us and allow us to spread out and sleep comfortably. A mattress which is made from natural fillings, not synthetic or man-made, one which is softer than you think with a strong core with snuggle depth natural upholstery and if there's two of you consider separate duvets! A full eight hours sleep contributes to a healthier and less fatigued appearance with fewer wrinkles, clearer skin, brighter, less puffy eyes, healthier, fuller hair and a happier mood overall. Sleep is as important as the air we breathe, is responsible for preserving and repairing every cell in our bodies and improves every aspect of your physical and mental health. After the sleep presentation we were taken through a yoga session which relaxed us all and led to many of us having a great night's sleep afterwards! I absolutely love yoga and have been taking it up more often recently, I always find it really relaxing both for my body and my mind, I need to incorporate it into my routine more! 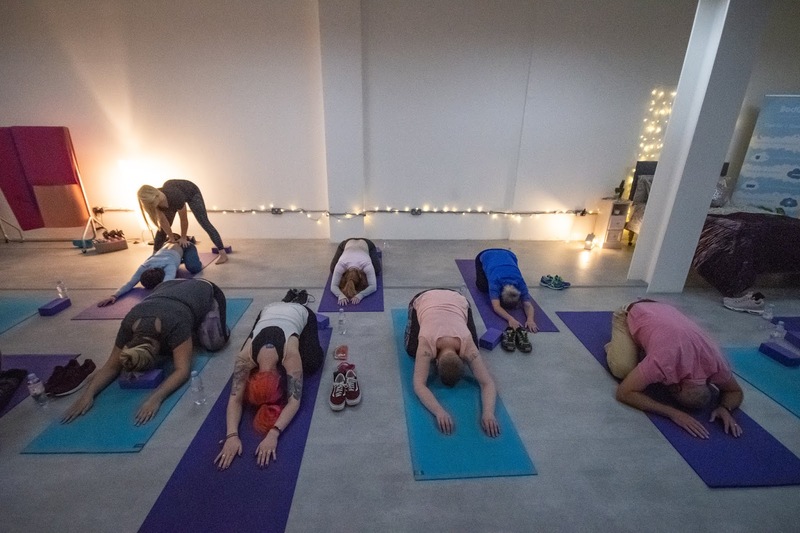 If Yoga Hero was closer to me I would definitely go back there for more sessions as I found it to be a really relaxing place to be, the staff were friendly and the environment lent itself very well to the evening's events. The session we were put through was fairly easy, a few stretches and holds which were easy enough for me to do and ones I knew well. I always find yoga frees my mind of whatever thoughts were sailing around it prior to the class. Talking about getting a good night's sleep followed by a yoga session was the perfect way to switch off from the outside world. We live in such a digitally switched on world, where even work emails don't stop once you log off for the night that sometimes we can forget that we need to look after ourselves first. Our mental health is so important to everything we do, especially sleep and so it's weird that we're the only species who actively put off sleep and see it as a badge of honour. How many times have you come into work and discuss with your colleagues about how little sleep you've had over the weekend? Yeah, thought so! I have come to realise that the only factor which matters is sleep and so I am beginning to make that a priority in my life, making myself a priority and learning to saying 'no' when I need to look after myself. Putting my laptop away and leaving my phone in another room can do wonders for my mental health, there's more to life than scrolling Instagram! I had a really lovely evening with Yoga Hero and Bed Guru. It was fascinating listening to Carl's talk, learning all the right things we should be doing to ensure we always get a good rest at the end of the day. 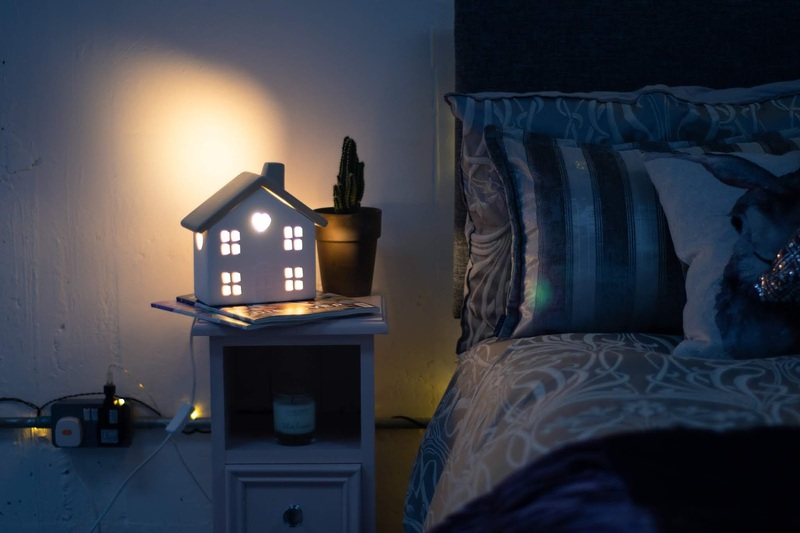 It's important to ensure our environment is the best it can possibly be, that our minds are switched off from the outside world and we're as relaxed as we possibly can be to ensure the sleep we're getting is of the best quality. Thanks so much to Zeal, Bed Guru and Yoga Hero for a fantastic event. I've started to put into practise everything I learnt on the night and am enjoying better sleep! *Event held free of charge in return for social coverage and this post. All opinions my own. Photos provided.